Oryginal test (in polish) you will find on drytooling.com.pl. JW: Company has roots in mountains. The idea was born in the middle of Kazalnica (famous polish winter wall in Tatras) at 2013. Near of our team was climbing team Wojtek Ryczer and Piotr Xięski. Wojtek saw hammer from Kevlar and give the idea of ice tools from that same material. With his help after half of the year, Salamandras axes go with Artur Małek on the expedition to K2. Of course first was hammer ;). After that were 3 Salamandra tools. Their lucky owners are Artur, Wojtek and me. In the meantime, I work on a snow shovel. Some prototype goes to polish expedition K2 & Broad Peak Middle in 2014. Another project was ice tool Czarny Łabędź (Black Swan) for Ice World Cup. Tester was Olga Kosek, but the project now is closed, because UIAA changes limit box for Ice tools. After K2 we create Kruk (Raven) and in this year we have the last version of Raptors. Great thanks for Artur Małek. His experience in high mountains and lot of winter climbing allows creating great products for mountain terrain. In production, we use hybrid carbon and Kevlar composite. Combination of this two materials results in high strength and low weight. Everything is prepared manually. Raptor is next step. Before it was Salamandra. Raptor is designed to technical mixt climbing (ice & rock) and dry tooling. It takes 2 years from idea to product. In the first version, geometry was not so good. Ice tool was also too flexible. We change the shape of shaft and picks. The purpose was: light weight, great swing, stiff shaft and good to place in ice. I think that now Raptor is good. We have some ideas. People ask for a combination of ice tool and shovel. 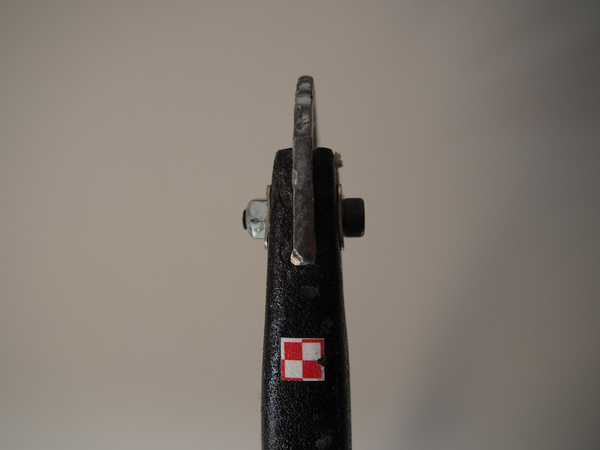 Others ask for a typical ice axe. Interesting can be trekking pools. I have some project in my mind. How is going on the international market? Eliteclimbs are recognized in many countries. Salamandras and shovels were used in Romania, Pakistan, USA, UK, Norway, and Switzerland. A big success was Ouray Ice Festival, where we have been the first polish company. We have some new contacts in America. To 2017 you can buy Kruk and Salamandra. 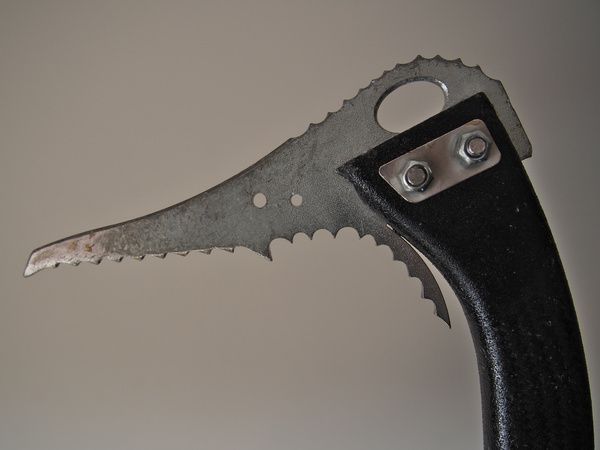 This last one was technical ice tool with a shape like in Petzl Quark and was dedicated to alpine climbing. There wasn’t ice tool like Petzl Nomic or BD Fusion. This empty space fills Raptor. 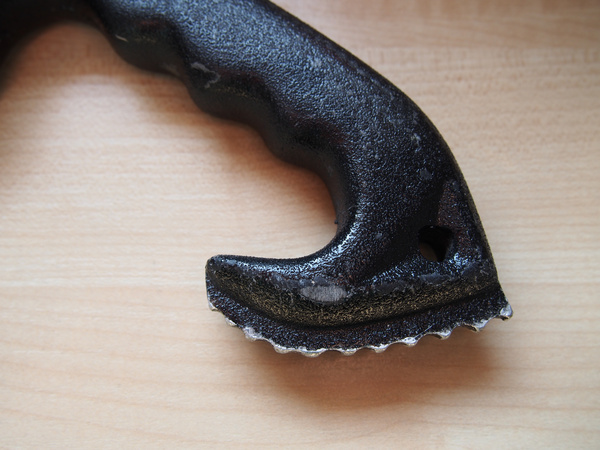 Raptor is technical ice tool (dedicated to ice and mixt technical climbing) with rounded shape and grip for your hand. It weighs 430 gram. Construction is “easy”. We have kevlar and tendon coal, also steel pick. The pick is universal. For rock and ice - in this second terrain we can place steel plates from Nomic to give more weight to our ice tool (better swing). Pick also has a minimal hammer. At the top of ice tool, we have the hole for carabiners (we can place our tools to harness). Shaft and grip are from hybrid carbon and Kevlar composite. Everything is profiled for best rigid. 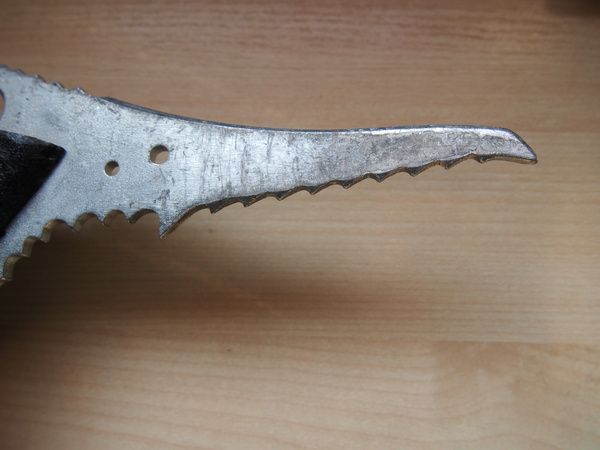 At the bottom is an aluminum blade (adze). 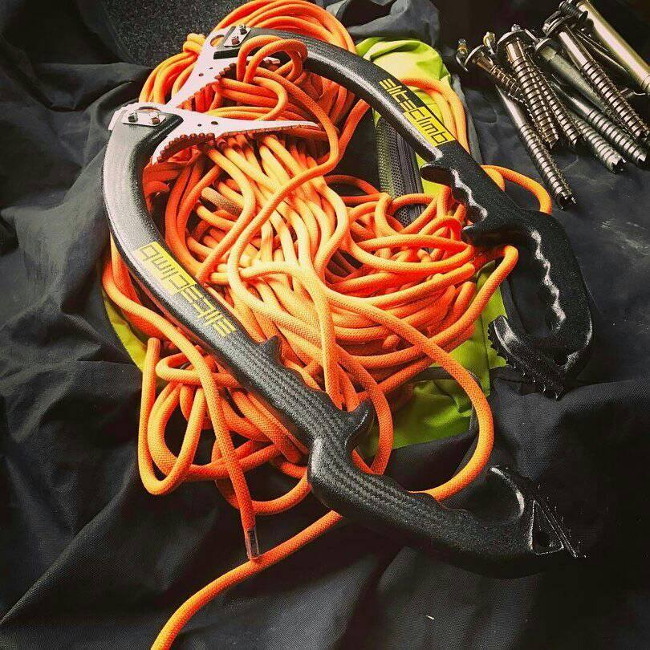 My favorite tools for winter climbing are Petzl Nomics (version 2), which are great construction. So in many cases in this article, I will compare Nomics with Raptors. First about what you think is weight. First time in my hands I had a feeling that this is plastic :). After some time you get used to but tools are very light. In total, you have two ice tools with weight 900 grams. In comparison Nomics weight 1270 gram. It is almost 400 grams of difference! Raptor is designed for mixt and ice climbing in vertical or overhanging terrain. Of course, it will be good also in slab terrain and at roofs. 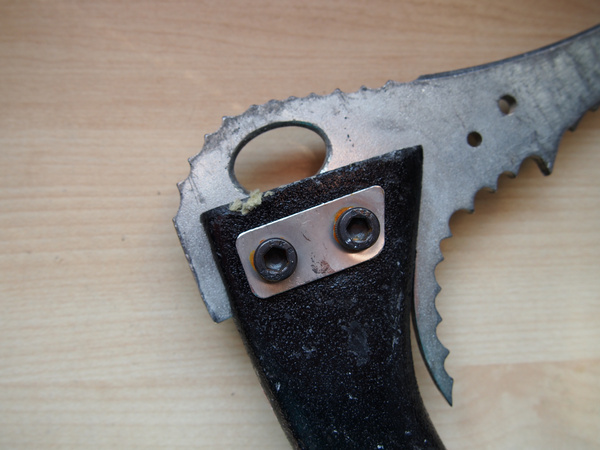 In hard mixt climbing (especially dry tooling) is important to have “feeeling” of your tools. When you put your weight on small crimps you “feel” if your tool catch hold. Another detail is jamming of your tools. For example, Nomic has a little bit flexible shafts. When you hang on the roof (especially on figure 4 or 9) Nomic can increase his length and return when you lighten. Sometimes in this situation grip of Nomic can jam. From opposite is Fusion Black Diamond, where a shaft is very rigid. How is with Raptors? Raptor is leashless, but it has a small hole for something - BD Fusion weight 672 gram and Raptor 430 gram. 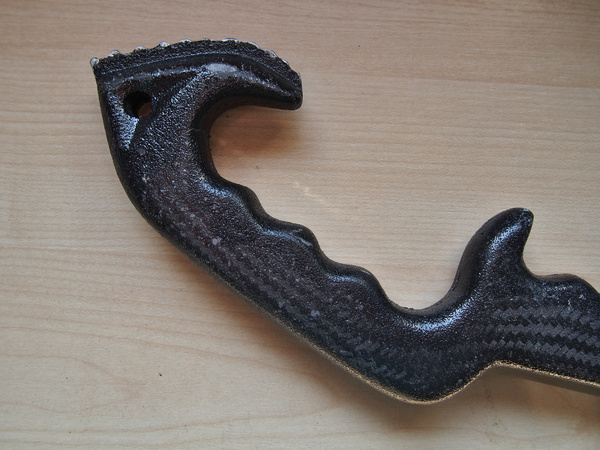 Grip in Raptors is ok, but not so good like in Petzl Nomics or Cassin X-dream. The shaft in Raptor is covered with special abrasive paint for better grip. But soon (if you climb in overhang routes) or later (if you climb in alpine terrain) this paint go away and friction will be not so good. At this point, I feel a difference in dry tooling (big overhangs and roofs). Not so bad but Fusion, Nomic and Cassin X-dream have better grip. The solution can be grip tape on the shaft and… training ;). The shape of the grip for me is too thick (better is in Nomic and X-dream). Carbon and kevlar grip is better in alpine terrain. This material is warm for your hands and snow did not glue to your shaft. Raptor has 3 grip rest. First at the bottom of the handle is quite big and protect our hand from hitting ice&rock. He has a serrated blade which gives us the opportunity to put ice tool in snow (easy terrain). 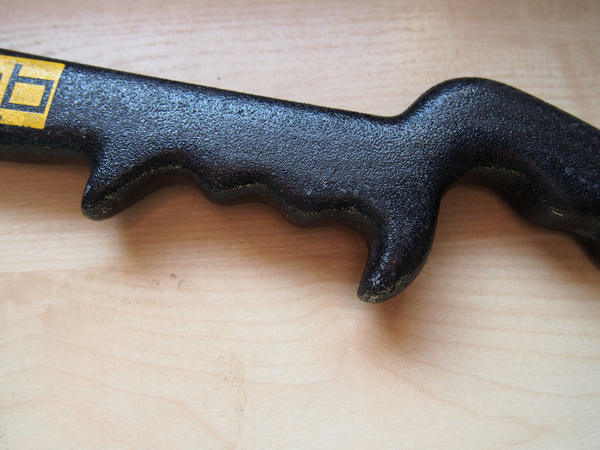 The second grip rest is at the top of the handle. Third in the middle of the shaft (which is good in easy alpine terrain or in overhang dry tooling routes). Raptor is leashless, but it has a small hole to put cord there. I use Raptor 2 winter seasons. Two pairs (prototype and new - actual - version). Last part quite often. I’m curious how strong will be a tool from carbon fibers. Carbon and Kevlar don’t brake suddenly (like a shaft in Nomics a ). First, we hear cracking sound. Maybe in hard dry tooling after years of using you have the chance for that. But in alpine/mixt/ice climbing I doubt. There is not so many force to break your shaft. They weigh ~140 gram (almost like in Petzl Nomics). 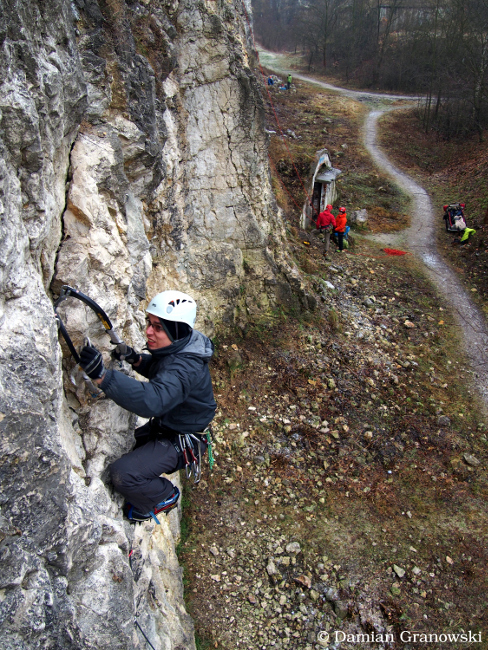 The profile is for ice and mixt climbing in vertical and overhanging terrain. There is only one picks profile (some producents have picks for ice and mixt). Picks have wide 4mm on the tip. An alloy of picks for me is a little bit softer than in picks from original Nomics. Maybe in this season picks will be harder. One pair of picks cost 25 euro (in Poland). I climb with Raptors a lot. Usually in terrain harder than M6. To grade M7+ they are excellent. Good “feeling” of tools and light weight is quite good for this type of dry tooling. I climb with them in harder terrain - big overhanging routes (also roofs). “Feeling” of your tools is also good. Problem is with grip. It is not so good like in Nomics or X-dreams. We must use more force of our arms. Maybe a solution is to stretch grip tape on shaft and grip. I use them usually in Tatras. In rock, they are similar like in dry tooling. Placing your tools in ice, consolidated snow and frozen grass without problems. Their great advantage is weight :-). On approach and descent, we have almost ~400 grams less in our backpack. Artur Małek says that Raptors are born for ice :). I didn't climb with them in hard ice (WI5+ and harder) then I don’t have the comparison with Nomic. I use Raptors more in rock than ice. But I do several hundred meters on icefalls (about 150 of grade WI5+) and they were ok. I climb without pick weights and I think that Nomic is a little bit better on ice. Unfortunately, I didn’t test with one Raptor and Nomic at one icefall. 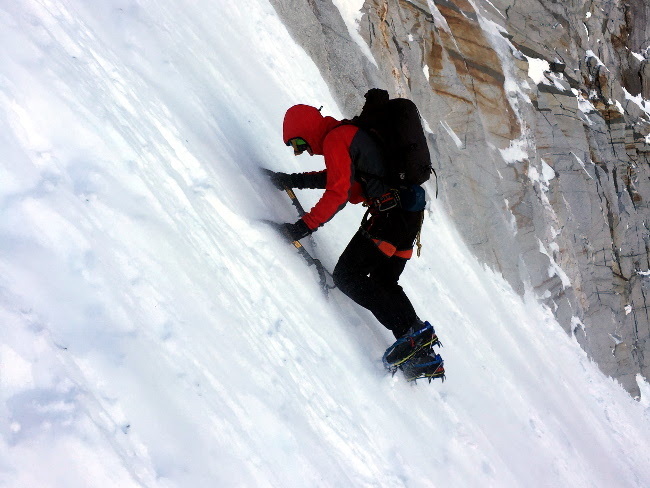 winter mountaineering, steep technical alpine climbing. Everywhere where we don’t have long routes in overhanging and roofs. Every cent will return on approach and descents. Big mountain expeditions where weight is crucial. The light person, where a weight of ice tools is important. For example, girls which weight is under 55 kg. Climbing on long icefall in water ice. For climbers, who prefers climbing in big overhangs and roofs, Raptors will be not so good. The good climber will climb with them, but you will need more grip strength. Raptors from Eliteclimb are interesting ice tools. If you are rather Mountaineer (to M8) than dry tooling monkey then you should consider this purchase. But if you go too long mountain expedition then buy them ;).